Outsyder Gaming: Savage Rifts Release Date? Yeah, that's from Kev's weekly message on 3/24, and it's not exactly a release date. It does use "final approval" language, though, which leads me to believe that a release date is on the horizon, though. Until then, we can keep being patient... or we can start figuring out what we intend to do with the book when it comes out. Personally, I'd like to write and share a plot point campaign. I've always found the "Hook, Line, & Sinker" format of Rifts adventures a little too short, and their more fleshed out adventures far too difficult to match to a given party's strength. 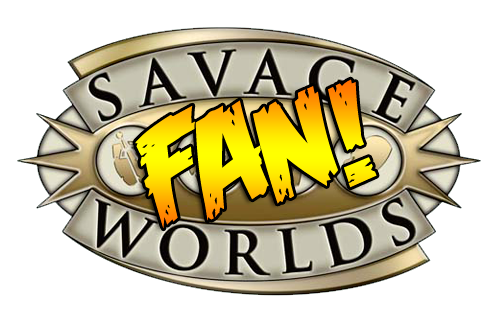 However, since Savage Rifts is supposed to keep power levels among players a little more even*, I think it'll be fun to write something up for Savage Rifts. There are so many possibilities, and the world of Rifts is so zany and ridiculous that it'll be tough to be original... but it'll definitely be fun! *Based on this interview. Note that I'm also super excited that they stuck to the traditional "Heavy" mechanic for mega damage. The idea was basically already in the SW rules, and I'm glad they didn't try to adhere to Palladium's idea of mega damage instead of just using a simple mechanic that already existed.